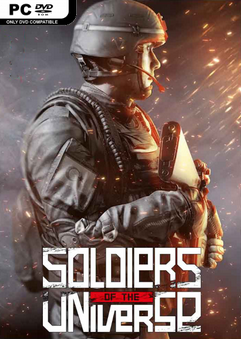 ReddSoft | Download Soldiers of the Universe-RELOADED - Selamat datang kembali di situs ReddSoft, pada kesempatan kali ini admin REDD membagikan sebuah game PC terbaru yang menurut admin cukup seru dimainkan, game dengan genre Action-Strategy ini sangat cocok untuk kamu yang menyukai game dengan genre perang atau tembak-tembakan. Didalam game Soldiers of the Universe-RELOADED ini kamu akan melawan organisasi teroris yang sangat berbahaya, dan kamu dituntut untuk lebih jeli dalam membuat strategi agar dapat mengalahkan musuh-musuh tersebut. Join the War Against Real Terror! 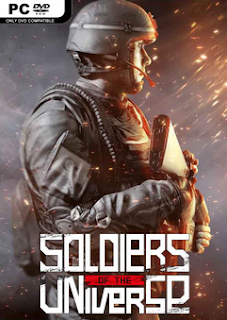 Soldiers of the Universe is a story-driven first person shooter game that tells the story of a group of soldiers fighting against terrorist organizations in the Middle-East. The Republic of Turkey has a secret organization called “Akinci Warriors” who specializes in secret military operations. Our hero Hakan takes over his father Selim Kahraman’s place as “The Toyga” of Akinci Warriors. He will lead military operations to take his father’s revenge and he will fight against the enemies of the state. Having trained in military and various branches of science for many years Hakan will be fighting a relentless struggle against terrorists along with three other heroes that joined to his side. After meeting Mr. Barbaros and Akıncı warriors, a lot will change in Hakan’s life. He will learn what “patriotism” really means and he will understand the importance of fighting for his own country but not for his personal devils. With the intelligence gathered by Republic of Turkey, The Military and Akinci Warriors; our heroes will carry out operations against various terror organizations at Southeast Anatolia, Northern Syria and Istanbul. Copy file crack ke direktori install game. 0 Response to "Soldiers of the Universe-RELOADED"